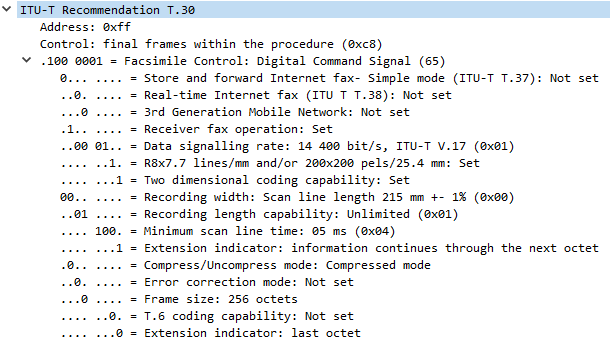 Ever wondered what a proper T.38 Fax over IP (FoIP) transmission looks like running through Wireshark? Maybe you’re troubleshooting a call flow, or never seen a T.38 capture. Below I’ll try to explain the call flow and steps to look out for when troubleshooting T.38 calls. 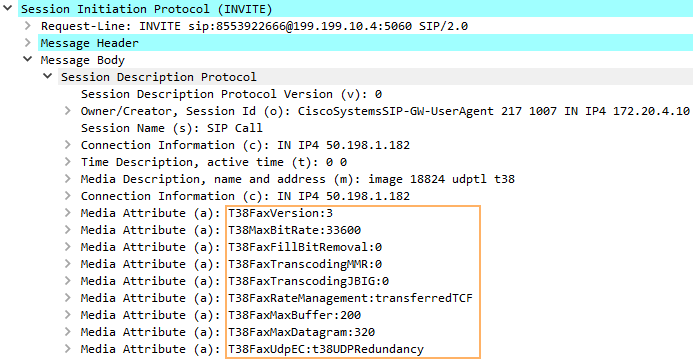 Here’s an Outbound FAX call originating from a FXS port in a Cisco CUBE, and going towards Flowroute. Initial SIP INVITE and early media receipt (ringback). Note this is all RTP. 183 Session in Progress, and we start sending media too (again, RTP). Later on comes the 200 OK, meaning the call was answered on the remote end. Things changing now… in-dialog (RE)INVITE from Cisco CUBE to SIP trunk… RTP and T.38 packets mixed because the remote end has not accepted our INVITE yet, but we start sending media either way. And the SDP of the new INVITE now shows all T.38 media now. Once we get the 200 OK from Flowroute, it’s all T.38 media both ways. TSI, is our Fax station number programmed in the machine. DCS, our Fax machine communicates the capabilities, and starts training. Then we get an FTT, means the remote end “Failed to Train”. Not usually a sign something is wrong, but more a capability mismatch. The remote fax may accept only lower baud rates, and will fail to train any higher. This is normal unless it’s the only response we get back from the remote end. We see the same process of TSI, DCS and FTT until we hit the right baud rate… in our case it’s 9600… Once we get that, we receive a CFR. 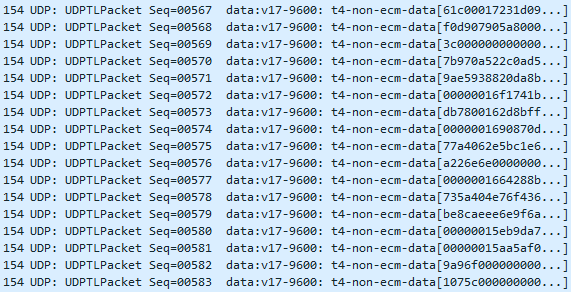 At the end of the data, Wireshark reassembles the packets and tells us whether there was a loss or not. In our case, we’re good! And that was it. Many exchanges and training but in the end our page was sent over a SIP trunk, negotiating T.38, training with the remote fax machine at 9600 baud, and transmitting one page in about a minute. Nice work you have there. Could you share me the pcap file that was used in this article? my email is rinin_farina@yahoo.com. Thanks in advance!